"The work of the devil will infiltrate even into the Church in such a way that one will see cardinals opposing cardinals, bishops against bishops. The priests who venerate me will be scorned and opposed by their confreres...churches and altars sacked; the Church will be full of those who accept compromises"
On June 28, 1973, a cross-shaped wound appeared on the inside left hand of Sr. Agnes. It bled profusely and caused her much pain. On July 6, Sr. Agnes heard a voice coming from the statue of the Blessed Virgin Mary in the chapel where she was praying. The statue was carved from a single block of wood from a Katsura tree and is three feet tall. On the same day, a few of the sisters noticed drops of blood flowing from the statue's right hand. On four occasions, this act of blood flow repeated itself. The wound in the statue's hand remained until September 29, when it disappeared. On September 29, the day the wound on the statue disappeared, the sisters noticed the statue had now begun to "sweat", especially on the forehead and neck. On August 3, Sr. Agnes received a second message. On October 13, she received a final third message. When the prayer was finished, the Heavenly Voice said: "Pray very much for the Pope, Bishops, and Priests. Since your Baptism you have always prayed faithfully for them. Continue to pray very much...very much. Tell your superior all that passed today and obey him in everything that he will tell you. He has asked that you pray with fervor." February 27, 1978 — Pope Paul VI approves the Congregation for the Doctrine of the Faith's Norms of the Congregation for Proceeding in Judging Alleged Apparitions and Revelations. These norms provide the criteria for evaluating such phenomenon and establish the local Ordinary as the competent authority to do so. They also provide that regional or national episcopal conferences may intervene (as has occured with regards to Medjugorje) if warranted, as may the Holy See. April 22, 1984 — After eight years of investigations, Rev. 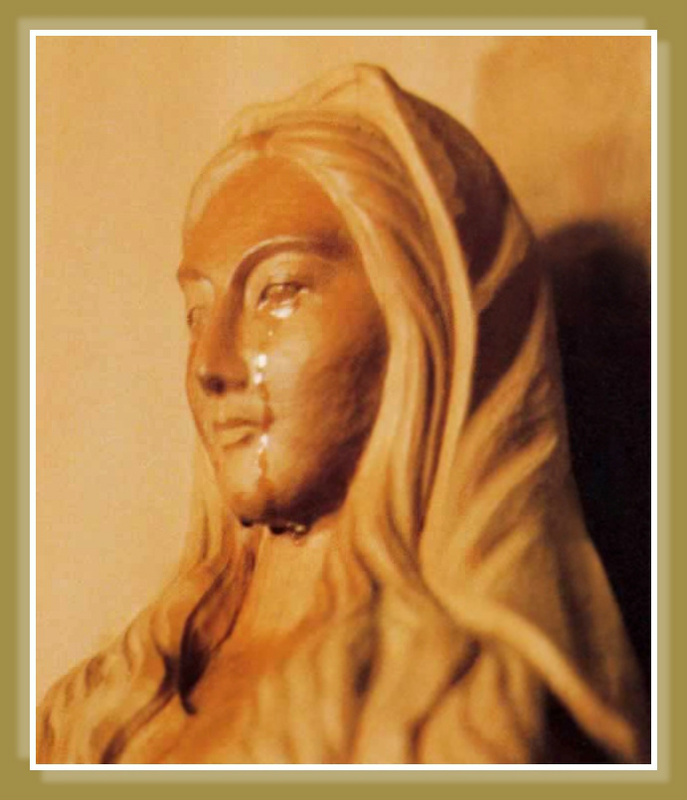 John Shojiro Ito, Bishop of Niigata, Japan, recognizes "the supernatural character of a series of mysterious events concerning the statue of the Holy Mother Mary" and authorizes "throughout the entire diocese, the veneration of the Holy Mother of Akita, while awaiting that the Holy See publishes definitive judgment on this matter."